Work for System Center Configuration Manager? 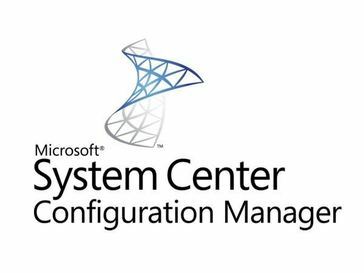 Learning about System Center Configuration Manager? "Great product that saves valuable time"
The most helpful is having the automation of deploying an operating system and customizing it to suit are school. I also like the deep integration with other Microsoft products as it is made by Microsoft itself. The Software Center is another great feature allowing end users to install approved software without the worry of them installing adware and other junk on the computer. I would say the one that I dislike the most is being able to deploy app or package to a computer without using a collection. I mean it makes sense, but that is just me. Otherwise being able to run scripts on individual computers is nice now. I wish the remote control feature also was not as basic as it is. Would be nice to maybe do file transfers in the background or even have a chat feature. If you have many computers, I recommend it as it saves a lot of time configuring computers. It is a highly functional piece of software. Cannot think of anything you cannot do with it that I have wanted to do. Saving time and having consistency. Every machine is identical in software loads and is predictable on how things will be installed. In that past it had taken days to weeks to image our district. I can now get it done in just a 1-3 days, which is a real time saver. Me muestra todos los equipos que estan operativos, sistema operativo que utilizan y las características o capacidad de los mismos, La actualización del inventario se puede hacer con un simple copiar y pegar en los documentos. Cuando esta bien configurado, obtienes un inventario automáticamente y cuando los de sistemas cambian los equipos o el sistema operativo, este lo actualiza, sin tener que mandar a realizar un inventario equipo por equipo. Pueden obtener reportes de aplicaciones instaladas en cada equipo y muchas funciones mas que yo no necesito. Pero se adapta a tu función o necesidad. Actualizo anualmente los datos de los formularios con la el inventario que me muestra este sistema, ya que se actualiza solo, y no tengo que pedirle a nadie informacion. Best tool for package distribution, deploying the packages, configuration, imaging of devices. easy analysis, user friendly tool. many features involved so easy and best to involve in any of the business. Easy integration with other tool. very vast tool. Nothing much to dislike. all the features are good and easy to learn and implement. best partner for the business, overall 4+ rated tool to control the business. "SCCM has given us the ability to manage our entire fleet with less people"
We used other tools in the past, but the ability to configure and manage our fleet with SCCM has been awesome. It took some learning at first, but its constantly improving and with the addition of Intune has given us even more flexibility in managing a complex fleet. The learning curve is high in some areas. The risks are high if you dont have a good understanding of SCCM. At times some of the changes come through quickly. We are able to provide imaging at all of our locations with full software distribution, patching and compliance policies. This helps us keep our environment clean and secure. "Very good but can be slow"
As mentioned in the title, it is a very good piece of software but it can be slow in taking effect for certain changes occasionally. There have also been times where it didn't have a feature that would be nice to have but it still has a lot of features to begin with. Installing software onto remote machines, deploying new machines, redeploying older machines, etc. There are a lot of elements to this software. It’s very customizable and user friendly. Maybe a different look to the software. It’s a little hard on the eyes to look at for a long period of time. Being able to work in multiple system interfaces without having to navigates between the different softwares themselves. "Best choice for windows computers!" I like this option because it is made by Microsoft, for Microsoft. I feel this is better as they are most familiar with the code of windows. I dislike that some of the features offered in configuration manager are delayed. For example, when I save a configuration, and apply it, it isn’t always as fast as smartdeploy/zenworks. We solved several issues, however the biggest issue we squashed was the need to mass configure computers in the field. This saves time for us, opening up more time for other tasks. "Great for Patches, Once You're Used to It"
I like the ability to remotely connect to machines and run configuration manager. I like the ability to monitor software. I do not like how long it takes sometimes. I feel like there could be some improvements. Being able to see how long certain programs are being used. It gives us more visibility over what people are doing. I see other products like forescout that do the same thing, and are easier to manage. It was an easy to use product that did exactly what it needed to and covered all the bases. The total control over the network it provides. It's a little bloated and the left menu is a bit dated and hard to follow. Using it for software deployment mainly. The best part of this product is the global managment capabilities. I dislike the underutlized features, which are not advertised. Solving issues with evironment standardization and client health errors. The easy configuration and making available different products fast. * We monitor all System Center Configuration Manager reviews to prevent fraudulent reviews and keep review quality high. We do not post reviews by company employees or direct competitors. Validated reviews require the user to submit a screenshot of the product containing their user ID, in order to verify a user is an actual user of the product. Hi there! Are you looking to implement a solution like System Center Configuration Manager?